Designed to move as you move even on that remote farm call. 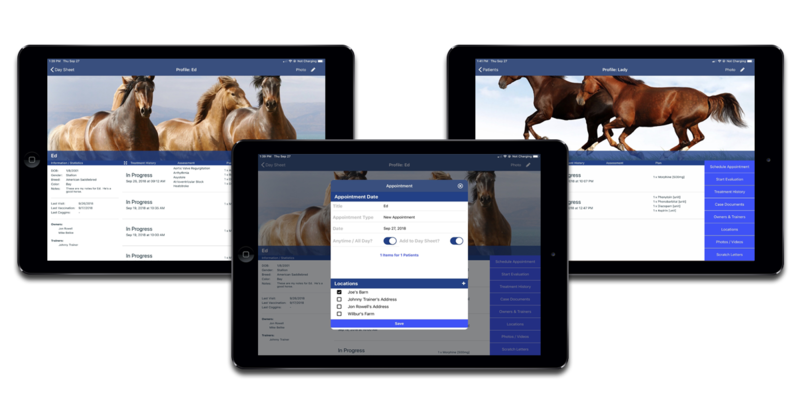 ThoroVet’s cloud based system with it’s intuitive app interface that runs on your iPad allows you to perform full examinations thru the SOAP process, treat horses on the fly with the Day Sheet, have visibility into account status with the customer financial dashboard, accept payments at the time of service, access your patient’s medical records with the swipe of your finger including images and videos, all the while syncing with your Quickbooks Online account. Even offline! 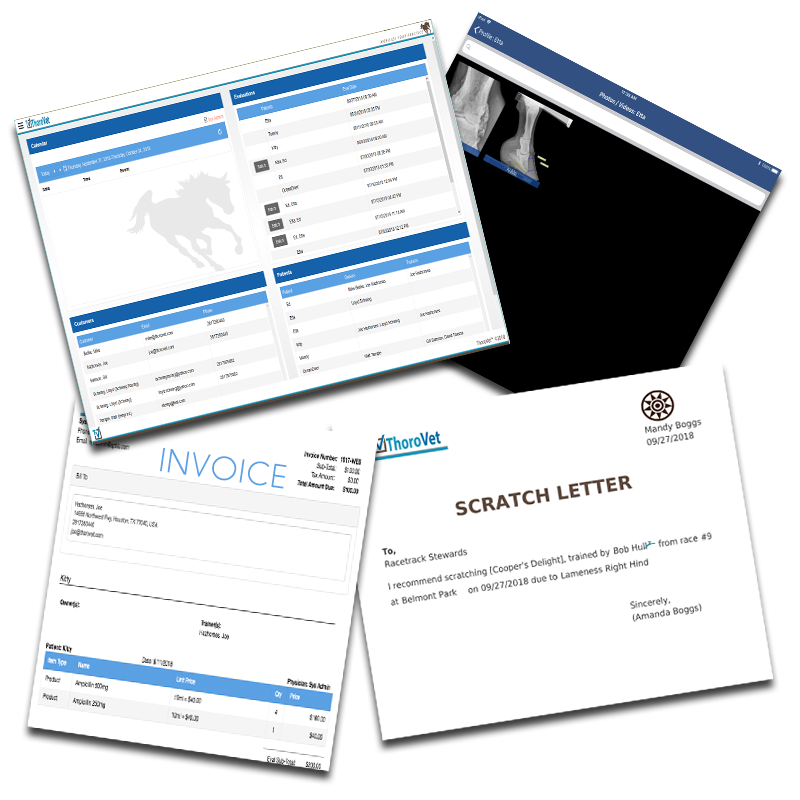 Email sales@businessinfusions.com for more information about how you can start using ThoroVet in your practice today.  easy set-up tutorials, outstanding customer service support, an online knowledge base of how-to guides, training videos, and more. There are no data limits and all software updates are included in your plan! Designed with the sole practitioner and small practice in mind. ThoroVet packs the horsepower to streamline your practice…all the while your on the GO! 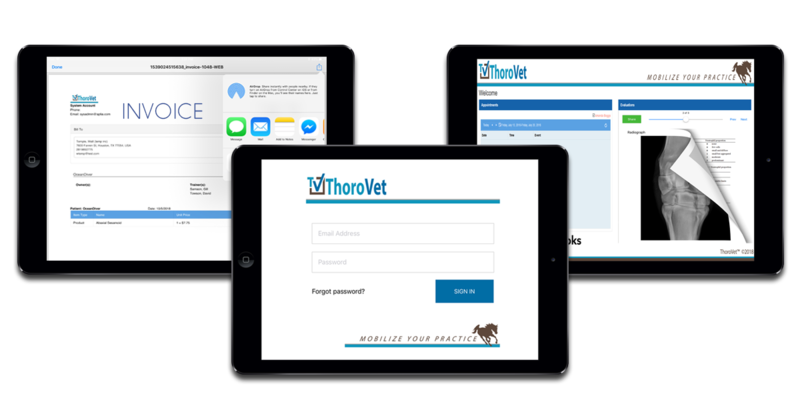 about how you can start using ThoroVet in your practice today.